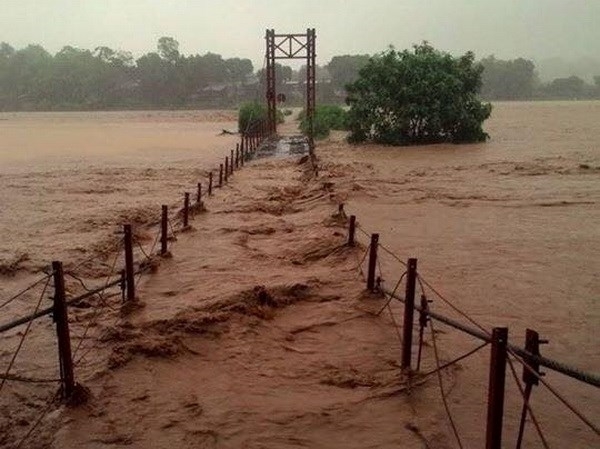 LÀO CAI – At least 10 people are reportedly dead or missing following a flood last night in the northern Lào Cai Province, authorities said this morning. The mountainous Bát Xát District suffered the heaviest human loss with three people dead and six missing being swept away by the flood. Updates from the Bát Xát Permanent Committee for Flood and Storm Control and Prevention as of 8am today said the people were residents from three communes of Cốc San, Tòng Sành and Phìn Ngan. The flood also swept away another person in the tourist destination of Sa Pa District. Heavy rain and thunderstorm have been striking areas across Lào Cai since last night, flooding the region. Typhoon Nida caused heavy rain after hitting the province. 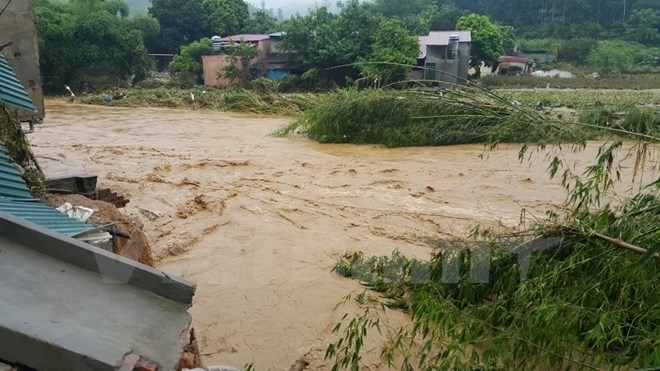 A flash flood in the Ngòi Đung stream in Lào Cai City’s Đồng Tuyển Commune swept away dozens of houses and pulled down a suspension bridge at about 4am, according to preliminary reports of the local authorities.